Educational game for children! 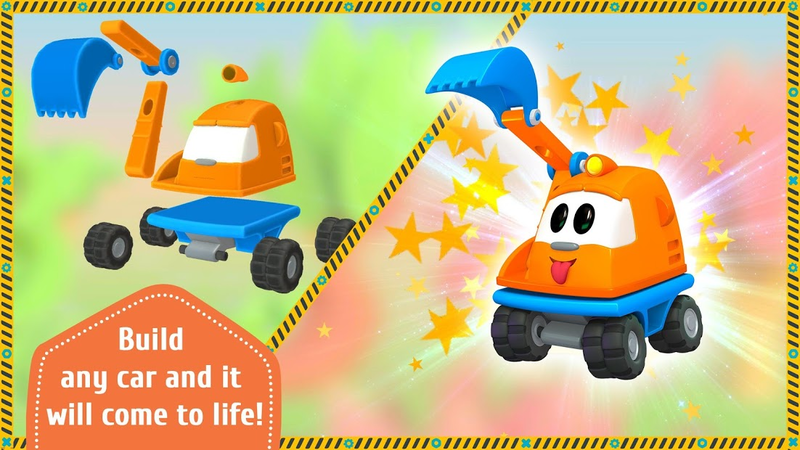 Build cars together with Leo the Truck. Download and play for free! This game helps develop a child’s attentiveness, motor skills, and spatial thinking. Choose any paid typewriter, launch the purchase and cancel - there will be a full version. Welcome to the 3D world of Leo the Truck and his cars! In this game, a child will be on a playground where Leo’s friends and work machines are. There are lots of interesting things there! Look, there’s Skoop the Excavator. Help him dig a hole! The water truck calls you to take care of the flowers, and a tow truck asks to take a car to the garage. 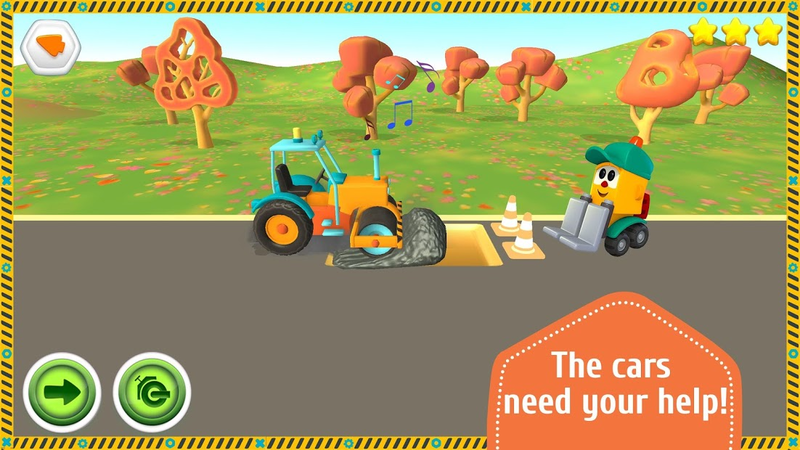 Help the cement mixer fill in the foundation and lend a hand to the garbage truck in cleaning up. What are cars made of? What is each detail called? In the magical world of cars, a child will learn what work machines are for, will make them out of parts and take control of them. Build cars like Leo the Truck does! It’s very easy to put a car together. Just drag and drop the details to the center in the right order. You cannot make a mistake or lose! 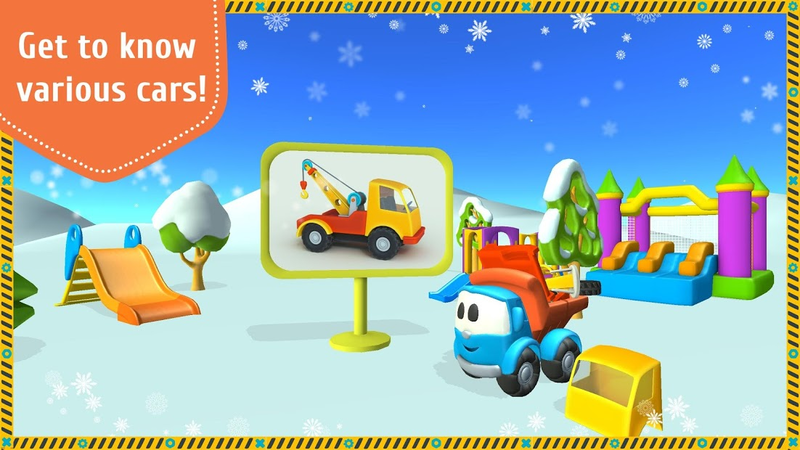 After it’s built, every car will come to life and get to various important tasks in a colorful 3D world. 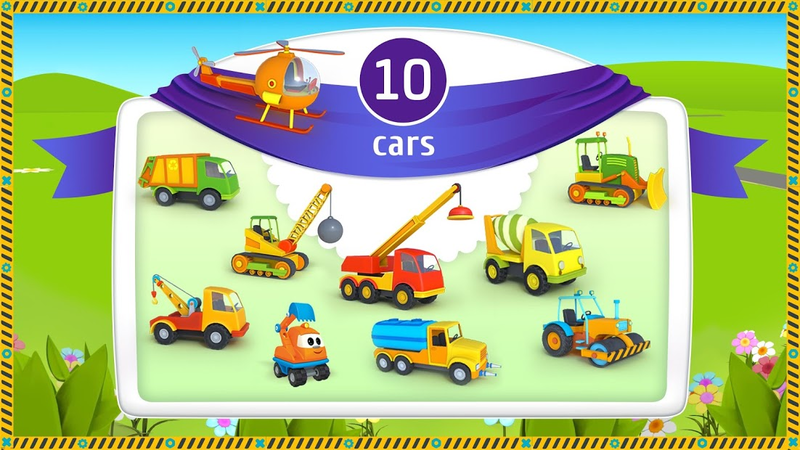 There are 10 machines in the game such as an excavator, road roller, crane, water truck, cement mixer, and even a helicopter! Build them all and help them perform their tasks. 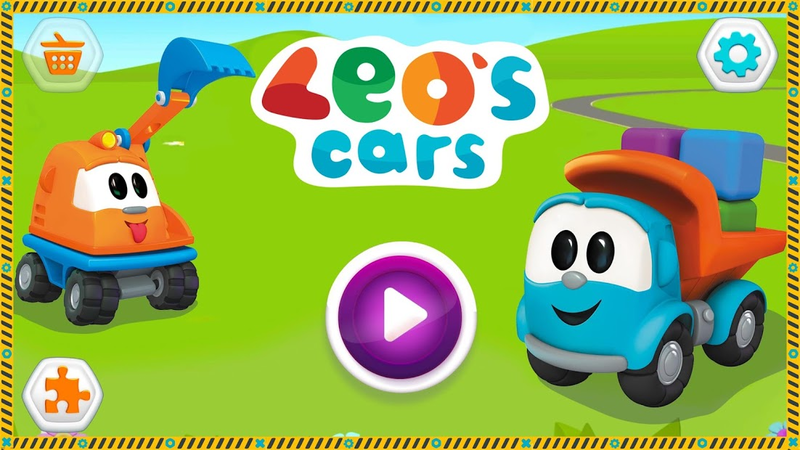 Those who like the “Leo the Truck” cartoon will love this colorful 3D game! Leo the Truck is an inquisitive and funny little car. In each episode of the cartoon, he builds interesting machines, learns geometric shapes, letters, and colors. It’s a good educational cartoon for young children, and preschool learning games based on cartoon gives your kid even more skiils. 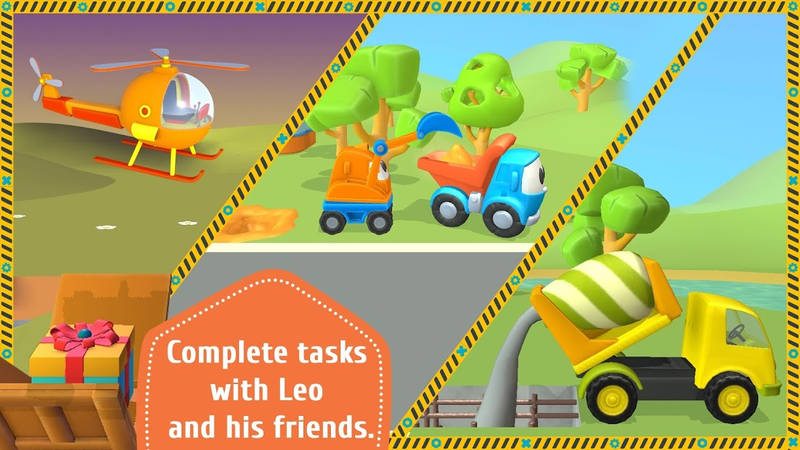 • Educational 3D game based on the famous children’s cartoon “Leo the Truck”. • Completely safe for children who don’t have fully-developed fine motor skills. • Helpful for developing a child’s attentiveness and spatial thinking. • Ten cars available to make and play with once they’re built. 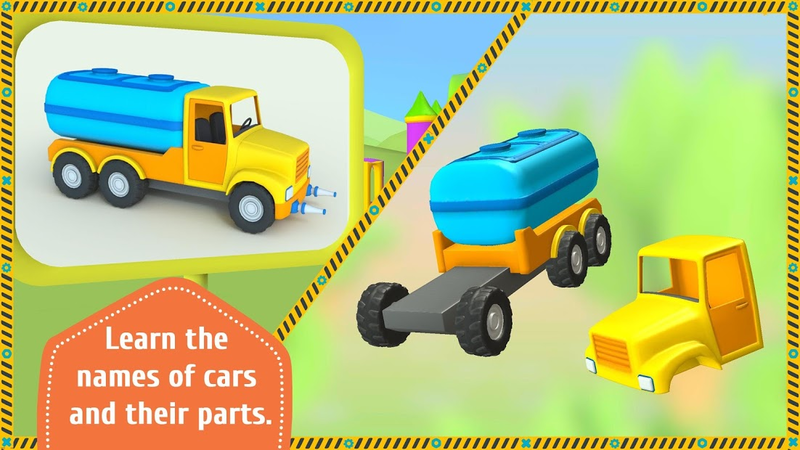 • Voiced machine parts help a child learn what cars are made of. • Colorful graphics and various seasons. • Simple and understandable interface. • Parental controls for purchases and app settings. • Available in several languages.